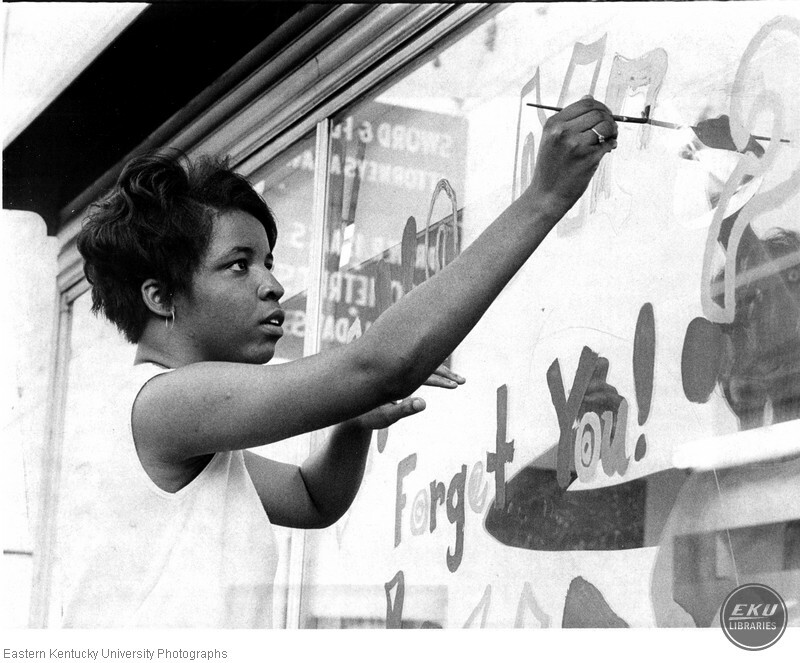 Sandra Commons, Delta Sigma, painting a window. “Sandra Commons, Delta Sigma, painting a window. ,” Digital Collections, accessed April 23, 2019, https://digitalcollections.eku.edu/items/show/32967.